Nice knives Helle. Made in Norway. They use a traditional method employing a narrow tang, capped at the end and they use mainly traditional materials for the handle, curly birch, leather, antler etc. The steel of the blades is interesting, they clad a carbon ( high carbon.. Carbon -0.67%, Silicon -0.70%, Sulphur -0.002%, Phosphorous -0.19%, Manganese 0.44%, Nickel -0.28%, Chromium -0.28%, Molybdenum -0.52%). steel core, hardened to 58/59HRC with a soft, but very rust resistant and flexable 18/8 steel (18% chromium/8%nickel). This makes the blade strong and rust resistant, and protects the hard, sharp cutting edge. 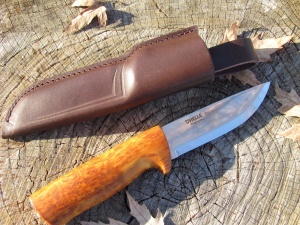 Eggen makes an excellent hunting, camp knife, comes with leather scandi style sheath. 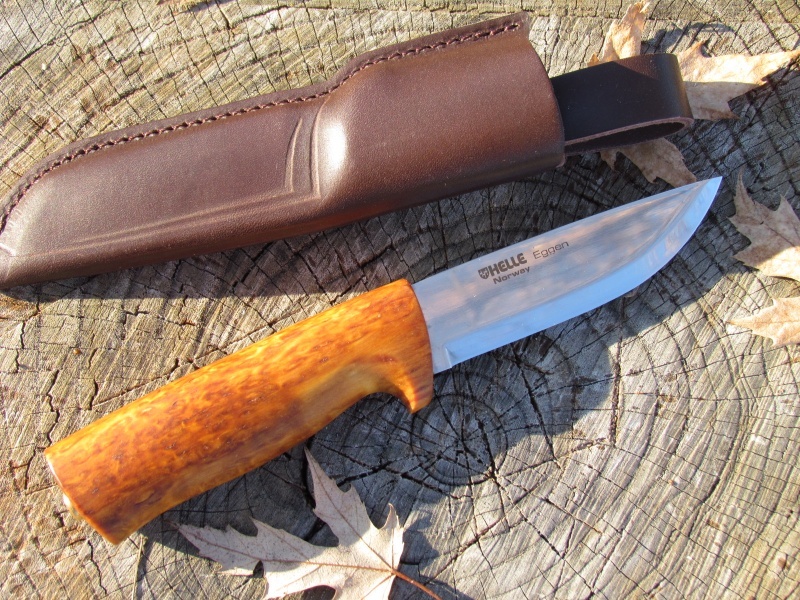 Purchase through PayPal by using the "Add To Cart" button above or use the form below to order the Helle Knives Eggen . 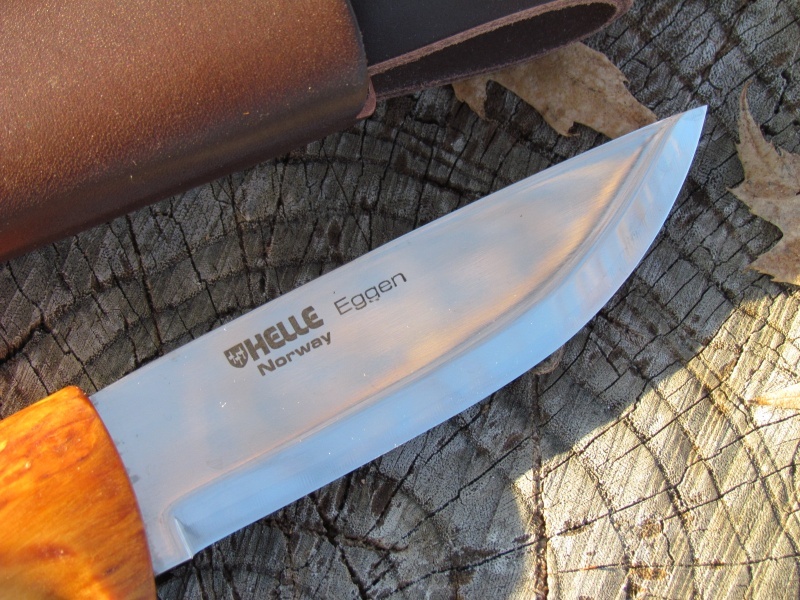 Feel free to contact us if you have any questions about the Helle Knives Eggen .